Hanukkah comes at an unusual time this year. The first full day of Hanukkah falls on Thanksgiving Day. The last time this happened was in 1888 and apparently will not happen again for another 77,798 years! 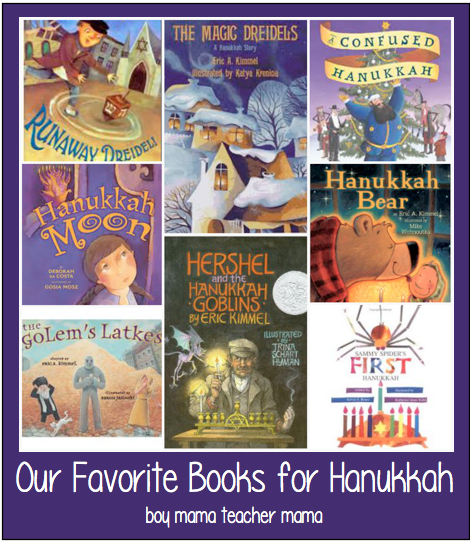 That all said, this post is about our favorite books for Hanukkah. I hope you like them as much as we do! 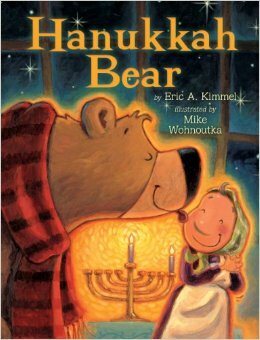 This is my absolute favorite Hanukkah story. 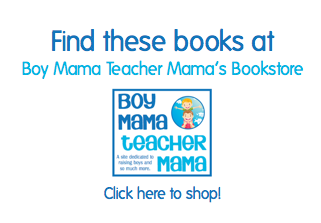 I love to read it and I love to watch children as they listen to it. It is as if they become part of the story and want to hear it over and over. 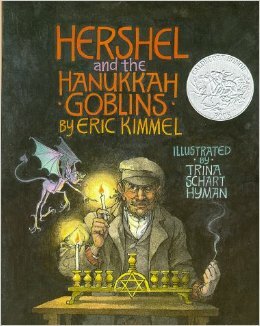 In this story, Hershel of Ostropol arrives in a small village excited to celebrate Hanukkah, the only problem is that the villagers are afraid of Hanukkah because their temple is haunted by a group of horrible goblins who will not let the people light the Hanukkah candles. Despite his fears, Hershel volunteers to spend the eight nights of Hanukkah in the temple to break the goblin’s spell. To do so, Hershel must light the candles in the menorah every night and, on the last night, he must get the King of Goblins himself to light the Hanukkah candles. 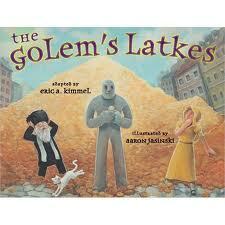 Check out Eric Kimmel reading Golem Latke’s here. 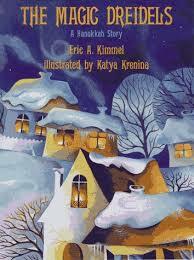 This sweet Hanukkah story is perfect for younger children. 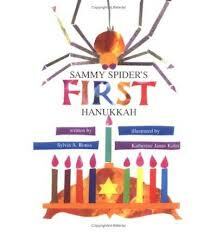 Sammy the Spider watches enviously each night of Hanukkah as Josh Shapiro lights the candles and receives brightly-colored dreidels. Sammy wants to light the candles and play dreidel just like Josh, but his mother reminds him, “Spiders don’t spin dreidels, spiders spin webs!” Then, on the last night of Hanukkah, Sammy gets his very own spinning surprise. 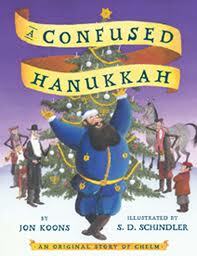 This book is not like any other Hanukkah story I have come across. This is the story of Isabol who is invited to spend Hanukkah or Januca with her Aunt Luisa who recently moved to the US from Mexico. While with her aunt, Isobel takes part in many traditions that are new to her, but have long been part of the Latin-Jewish community including breaking a dreidel shaped pinata filled with chocolates and welcoming the luna nueva (new moon) that appears during Hanukkah. Another favorite in our house also written by Kimmel. The Magic Dreidels is the story of Jacob, a little boy who only wants to play with his new brass dreidel, but is sent by his mother to the well to fetch some water for the family. While at the well, Jacob drops his prize dreidel in the well only to find that a magical goblin lives at the bottom. The goblin gives Jacob a magic dreidel that spins latkes. 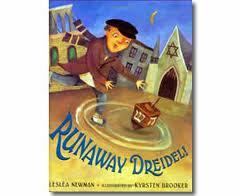 As he walks home with the magic dreidel, Frumah Sarah, the thieving neighbor, tricks Jacob and takes his dreidel. When Jacob arrives home with the tale of a dreidel that spins out latkes, his family thinks he is lying and, of course, the dreidel doesn’t work. Jacob returns to the well several other times, each time receiving a magic dreidel and each time is tricked into giving it to Frumah Sarah. Finally, the goblin has his way and Jacob gets the magic dreidels and Frumah Sarah gets a what she deserves. 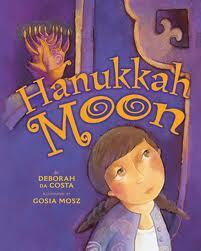 What is your favorite Hanukkah book?